Want to sponsor our new uniforms? Please contact us! 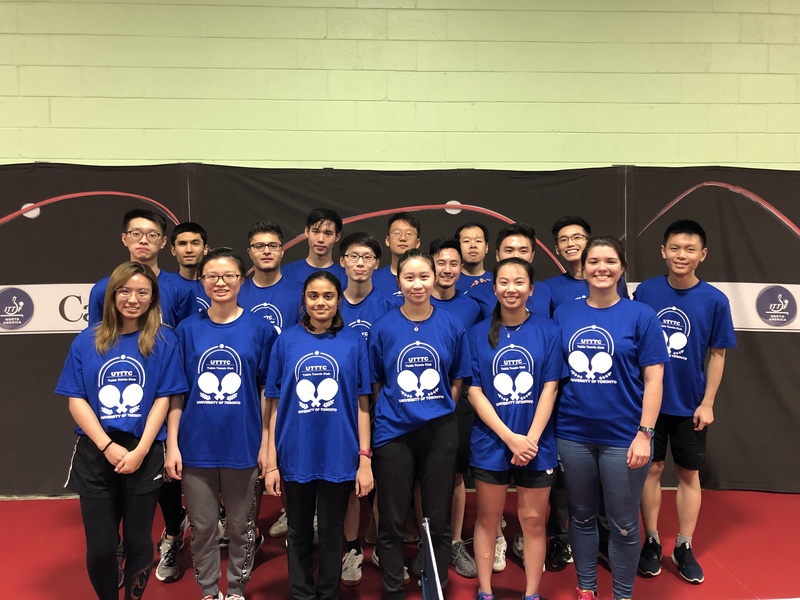 Read more "UTTTC Sweeps at NCTTA Fall Divisionals"
Get social and celebrate Halloween with the U of T Table Tennis Club! Dress Code: AS CRAZY AS POSSIBLE! Non-alcoholic beverages and snacks will be available as well. Tickets selling fast, so grab them while you can from our execs! Got a tune you’d like to groove to? Post it on the playlist and we’ll make sure its heard! 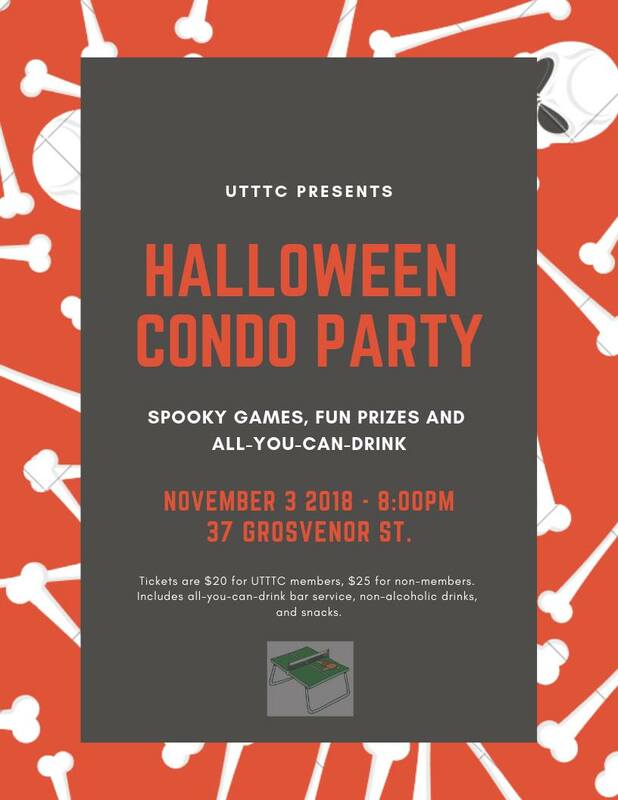 Read more "Halloween Condo Party!" Thanks for coming to our Fall Singles Tournament and congratulations to our winners! Here’s a link to all the pictures taken at the tournament, feel free to check it out and find yourselves! 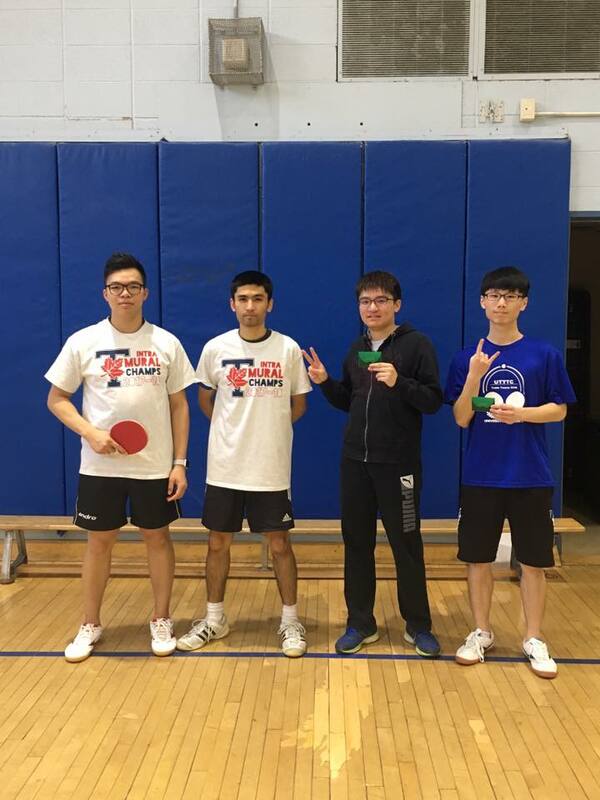 Read more "Fall Singles Tournament Results"
UTTTC hosts an intramural league that runs throughout the Fall and Winter semesters. Members form teams, and play one game per week against other teams, with the winning team of the league receiving the Del Rio Cup. 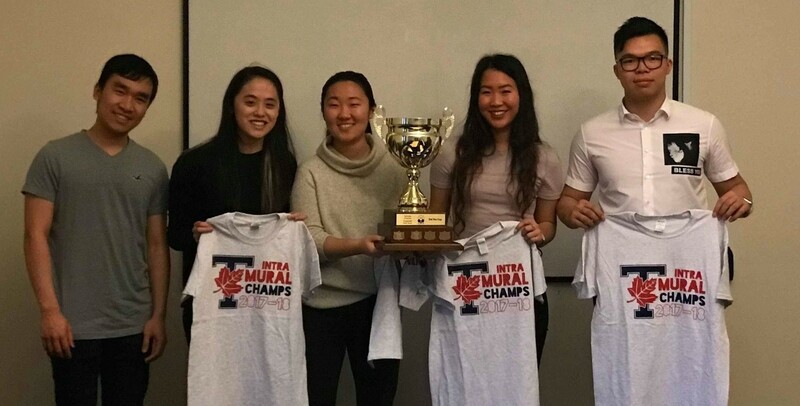 Once you sign up for the intramural league through the link, you still need to go to the Athletic Center, Goldring, or Varsity Stadium offices to complete the registration. You must fill out the form for “Intramural League” and pay the $70 security deposit. As long as your team plays 7 out of the 12 scheduled matches, your deposit is refunded. We hope you are as excited for the new school year as we are. Let’s pong! 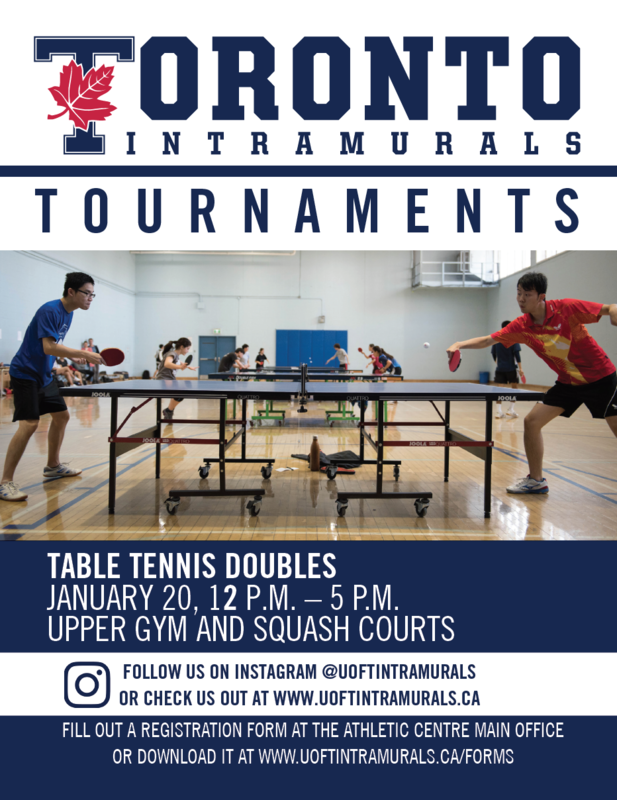 Read more "Registration Open for Intramural League 2018-19"
New Tables for Hart House! We received TWO new tables from CCTTA today and have put them in Hart House. The two tables are Butterfly and Double Fish. Many thanks to CCTTA for donating the Double Fish table two years ago. Special thanks for the help from Brian Huang, Isaac Lo, Vicki Zhang, and Hart House staff! 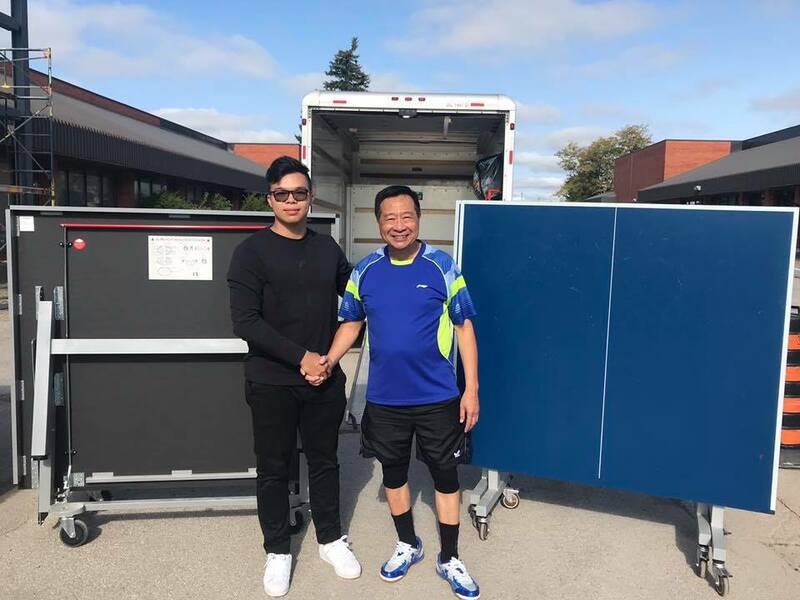 Read more "New Tables for Hart House!" You asked, and we are delivering!! 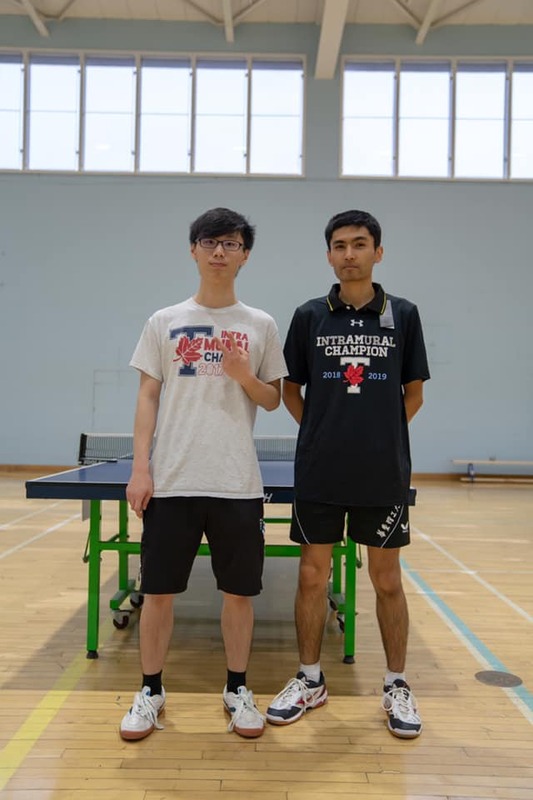 UTTTC will now be offering FREE training sessions to members who are interested in improving their table tennis skills. We’ll bring two experienced coaches from our private coaching program and a ton of balls, so all you need to do is show up with a racket! Thanks to everyone who attended our training sessions this summer. We will be hosting more throughout the year, and look forward to meeting more of you. If you are looking for more structured and regular training to really improve your playing level, check out our private coaching program! Please keep an eye out for our social media and website updates for more information on future sessions! Read more "Open House Training Sessions"
Read more "St. PONGtrick’s Party!" Congrats to the winning teams at our annual doubles tournament! 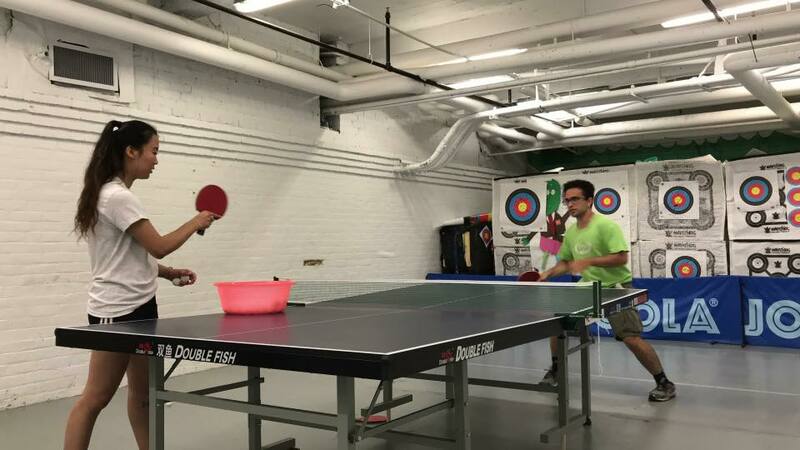 Read more "Congrats to the winning teams at our annual doubles tournament!" Come showcase your skills this Saturday, January 20th, 12-5pm at the Athletic Centre Upper Gym! All levels are welcome – over $100 worth in prizes to be won, so you don’t want to miss out! Please head over to the Athletic Centre to fill out the form below and pay the $20 security deposit. Alternatively, you can print it out yourself here and bring it to AC. As long as you show up and participate, we will refund your deposit. If you don’t have a partner, don’t worry! Just register as an individual and we will pair you up when you arrive! We hope to see you all there! 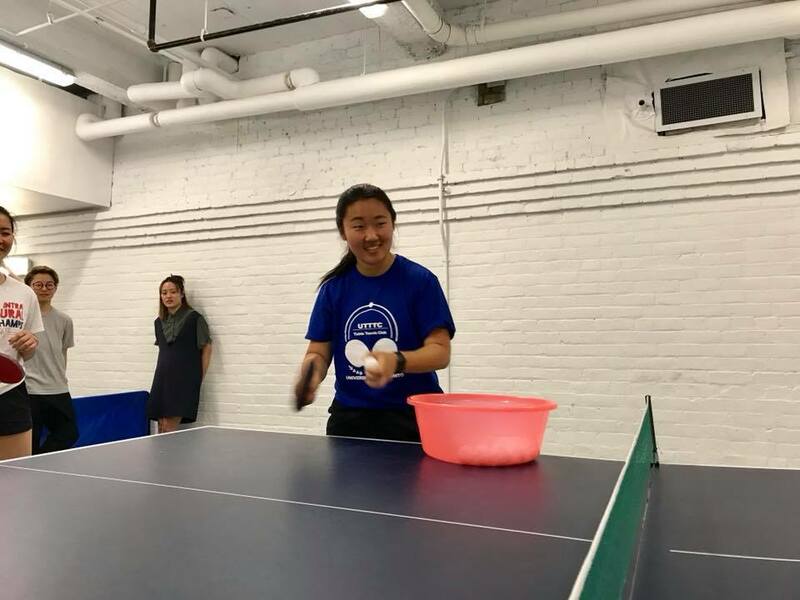 Read more "2018 Winter Doubles Tournament"
If you weren’t able to attend, don’t worry, there will be another tournament in the winter semester. We hope to see you practicing at Hart House/AC in the meantime! Great job everyone! 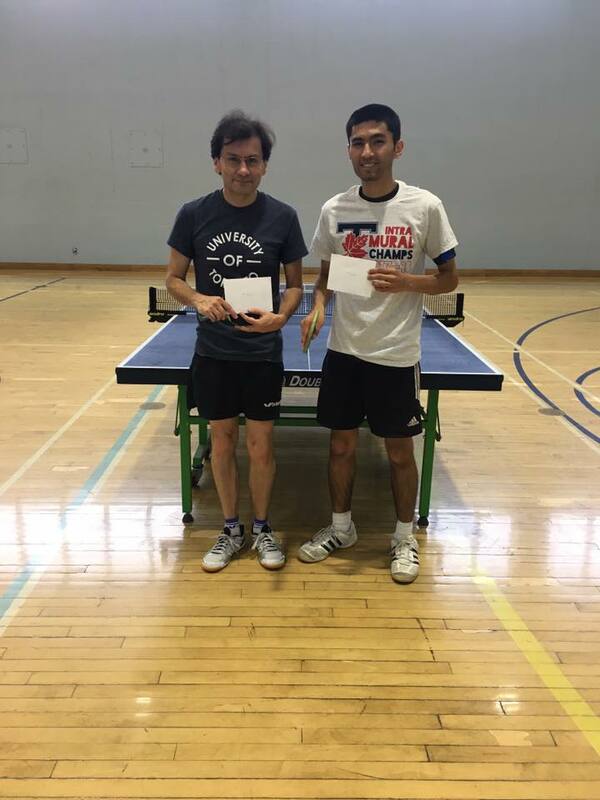 Read more "2017 Fall Singles Tournament(Result)"